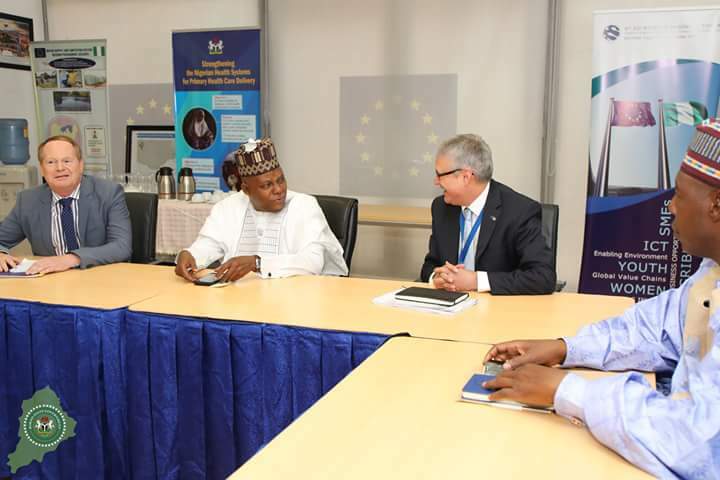 In one of many engagements in Abuja, Governor Shettima meets European Union over restoration of livelihoods, return of IDPs to communities in Borno State. 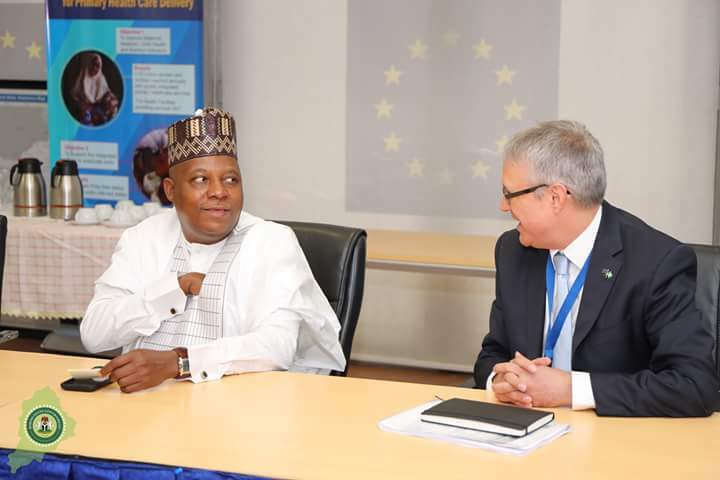 In one of his high level meetings in Abuja, Governor Shettima has met with officials of the European Union with focus on mobilizing the international community to support ongoing restoration of livelihoods in areas affected by Boko Haram insurgency and the voluntary return of displaced persons and refugees to safe communities. Since arriving Abuja on Wednesday, Governor Shettima has attended separate meetings starting with Vice President Yemi Osinbajo and later President Muhammadu Buhari at the Presidential Villa on Wednesday. On Thursday, he was at the World Bank before meeting officials of UK’s department for International development after which he was residence of United States embassy’s Deputy Chief of Mission. On Friday, he met with Executive Secretary of the Universal Basic Education Commission at the UBEC headquarters after his meeting with the European Union. 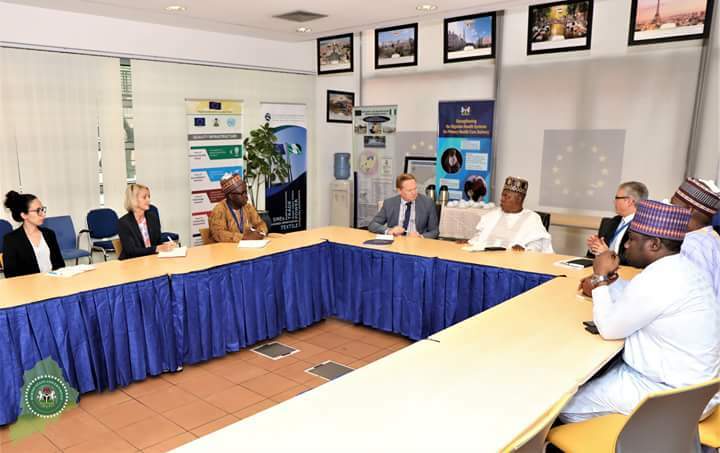 The meeting with the European Union was attended by Borno’s Commissioner Reconstruction, Rehabilitation, and Resettlement, Professor Babagana Umara, the Deputy head of European Union’s Delegation, Mr Richard Young, Head of Cooperation, Mr Kurt Cornelis, amongst other top officials of the Union. 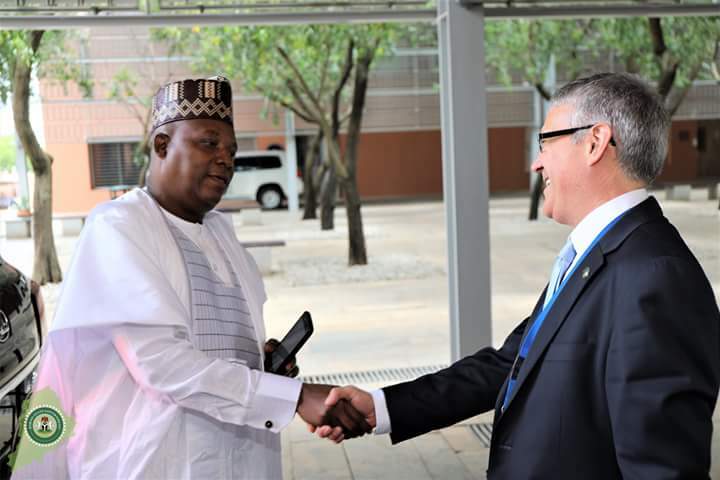 Governor Shettima registered Borno Government’s appreciation for the EU’s support to humanitarian agencies who in turn assist displaced persons as well as support for restoration of livelihoods in communities destroyed by Boko Haram. The Governor enumerated his administration plan for other phases of efforts to reposition the State.